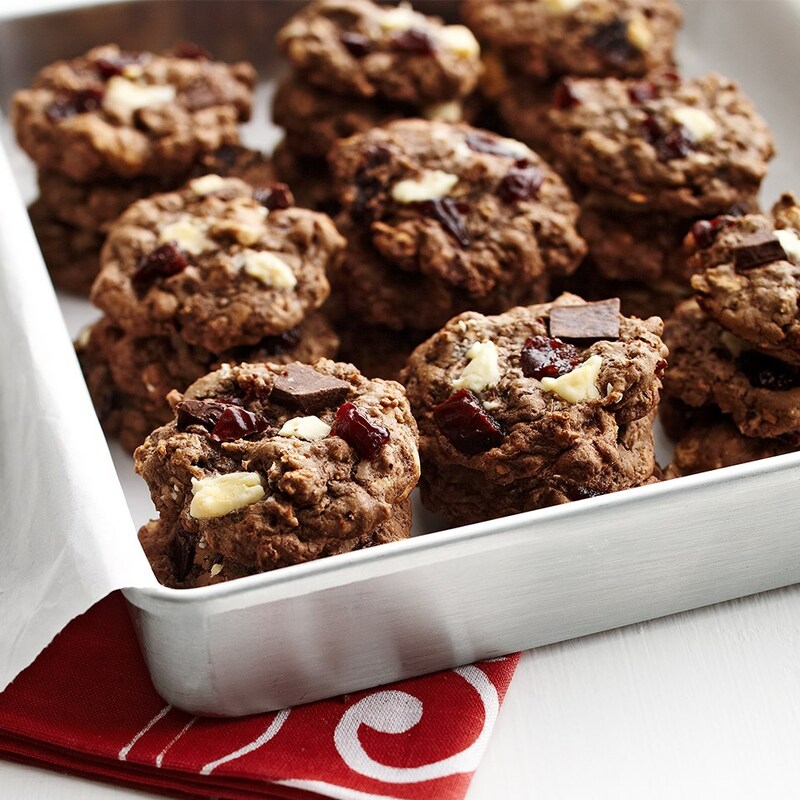 These diabetic-friendly cookies combine antioxidant-rich cherries with both dark and white chocolate. Preheat oven to 350°F. Line cookie sheets with parchment paper. In a large bowl, beat vegetable oil spread with an electric mixer on medium to high speed for 30 seconds. Add brown sugar, granulated sugar, baking soda and salt. Beat until well mixed, scraping side of bowl occasionally. Beat in egg, cocoa powder and vanilla until combined. Beat in flour. Using a wooden spoon, stir in rolled oats and flax seed meal. 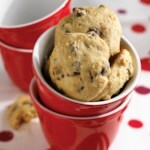 Stir in 3 ounces of the dark chocolate, 2 tablespoons of the white chocolate and ⅓ cup of the cherries. 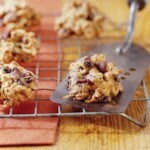 Drop dough by rounded teaspoons 2 inches apart onto prepared cookie sheets. 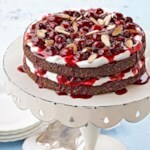 Top with remaining dark chocolate, white chocolate and cherries. Bake for 8 to 10 minutes or until edges are set. 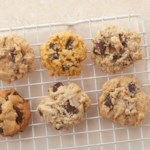 Let cookies cool on cookie sheets for 1 minute. Transfer cookies to wire racks; let cool. 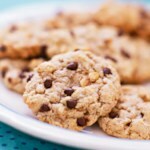 Tip: If using a sugar substitute, choose Sugar Twin® Granulated Brown or Sweet'N Low® Brown in place of brown sugar. 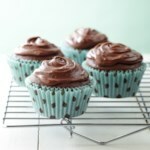 Choose Splenda® Sugar Blend for Baking in place of granulated sugar. Follow package directions to use product amount that's equivalent to ⅓ cup brown and granulated sugar. Nutrition analysis per serving: same as below except 70 calories, 10 g carbohydrate. Exchanges: ½ other carbohydrate. Carbohydrate Choices: ½. To make ahead: Layer cookies between waxed paper in an airtight container. Cover; seal. Store at room temperature for up to 5 days or freeze for up to 1 month.